didn’t you post this cartoon yesterday? Being a zombie and one of the undead he can’t count mine, purportedly I am unable to cast (although my body of work speaks for itself I got a walk-on part in Night of the Living Dead and I am still working today remember that chicken in Zombieland), useless indeed. 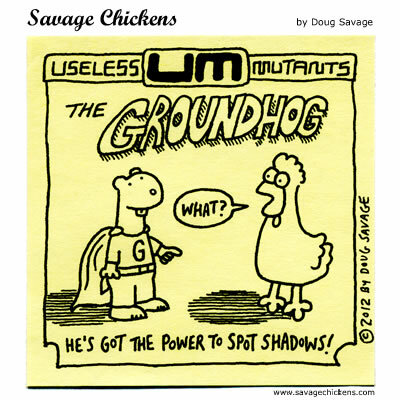 He shares his power to be frequently incorrect with another useless mutant, Weather Man. Funny creature! He’s even got a cape! !